CHICAGO (WLS) -- Fire crews are on the scene of a fire at a building in the city's West Side. 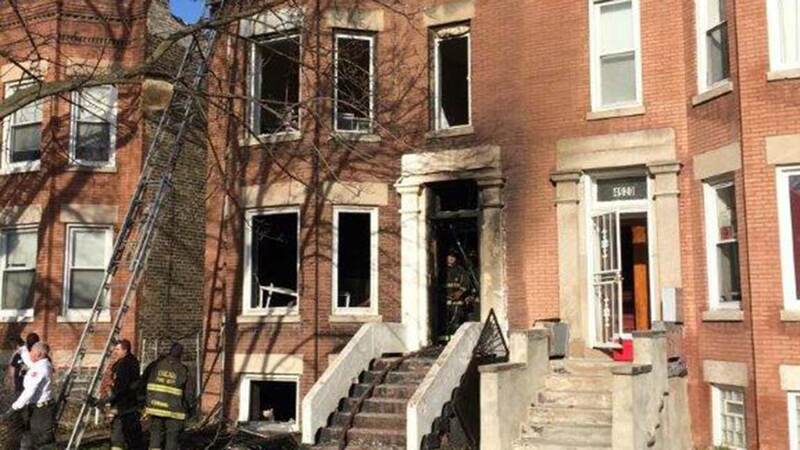 Crews responded to the fire in the basement and first levels of the building, located in the 4900-block of W. Fulton, around 9:55 a.m. Sunday, officials said. Three people were hospitalized and another refused treatment after being rescued from the first floor of the building, officials said. A total of five adults and two children were displaced. Stay tuned to ABC7Chicago.com for updates.